How to win playing IQ Option. On this occasion I will share a binary option trading strategy tutorial that can be used for 1 minute, 5 minutes and so on. Today many are interested in how to make money through trading both forex trading and binary options. But for more and more enthusiasts of the type of binary option trading, this is because the binary option method and system are easier to understand, that is, only choose the CALL option if the predicted movement will go up and the PUT option if the movement prediction will go down. But even though the way to play is very easy, you may not be able to win or gain profit consistently if you don't have a good trading plan and strategy. 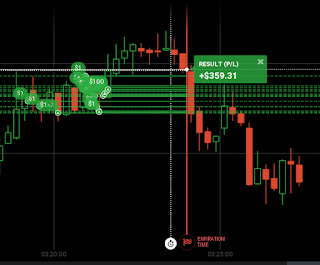 It is very important to learn how to analyze that is how to predict where the next price movement is going, as a basis for taking options either Call or Put. Trading analysis methods are divided into 2, namely fundamental analysis and technical analysis. The binary option traders are usually more focused on technical analysis using indicators and without indicators. In this article I will not share strategies for how to do analysis such as how to use indicators. Therefore, before continuing this tutorial you should have learned the strategy of how to read the signal to make a decision whether it is CALL or PUTT. Choose one strategy or a combination of several indicators as a basis for opening positions later. 2. 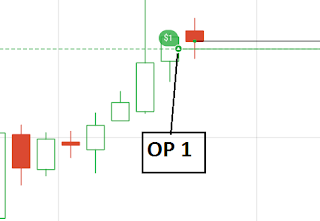 Open Open Sequential Position Before Expired Time Expires If First Position Open Missed. After a signal appears from the strategy that you are using, open a trading position such as opening a CALL position. If after making CALL, the movement turns down then open the CALL position again, and if it turns out the downtrend is still doing the CALL position again, the time has not expired. If you open the first position of CALL, then the next position is also CALL. This method aims to minimize losses if the first position is opened. 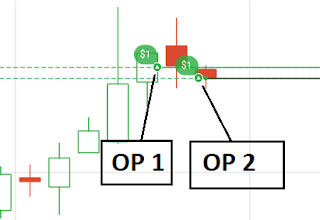 You do not have to open a position up to 3 times, the open position is done only if it turns out the price movement is against the open position we choose. If the first open position has no resistance then the second open position does not need to be done. 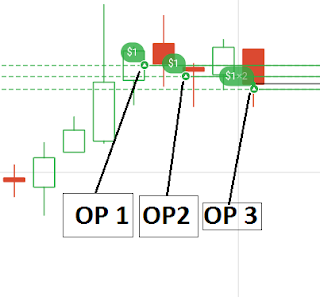 For example, the first open position selects CALL and the price movement continues to rise, so we don't need to open a second position. This method does not have to be done, but if you want greater profit in a short time, then this method is worth a try. The method is still the same as above, it's just that the investment value is doubled from the previous invest value. The goal is that if you open the first position of loss, then the next open position will back up the losses and still get profit. So that the trades made always make a profit. But keep in mind this method has a high risk, so you need to consider it. Hopefully this method can help you achieve profit consistently. 0 Response to "Exact Tricks of Binary IQ Trading Option Guarantee 100% Profit"